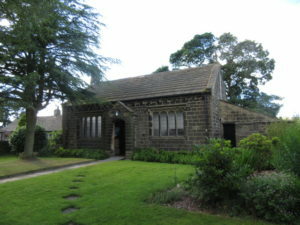 St Gabriel’s in Stanbury is part of the Church of England’s Parish of Haworth and it serves the hilltop village close to the border with Lancashire. To contact St Gabriel’s please call Assistant Church Warden Chris Tordoff by calling Tel: 07752 593321 or via the Haworth Parish office Tel: 01535 648464 or mobile 07891 183682. E-mail: rector@haworthchurch.co.uk. St Gabriel’s is located on Main Street, Stanbury, Keighley, West Yorkshire BD22 0HW. The Church’s main service is held every Sunday at 9.30am. Stanbury Church has its own fund-raising group which can be contacted via e-mail: stgabrielchurch@gmail.com or by calling Andra Krumins Tel: 07753 842246. 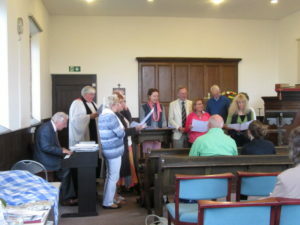 One of the Church’s most important social activities is the Gospel Singing Group which meets every Wednesday evening from 6.30pm until 7.30pm.